At first glance, beer and glassblowing have little in common. 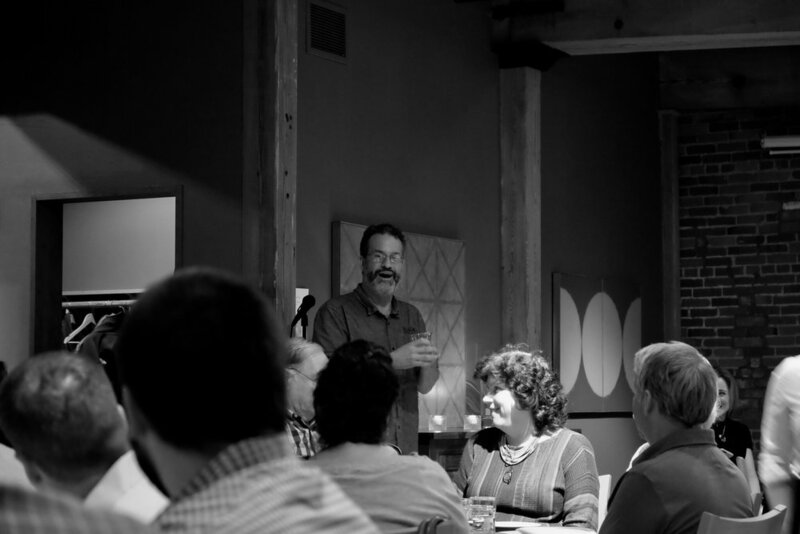 And yet, on Monday night, glassmaker Simon Pearce hosted a “Meet the Maker” beer dinner in Quechee, VT featuring Allagash beer and Allagash founder Rob Tod. Refreshingly, perhaps, the majority of attendees knew little of Allagash or beer. It was their appreciation for Pearce’s artisanship and elegant food that brought them out. Even Pearce seemed wide-eyed: “I never thought I'd have a beer with bourbon in it." Every course was brilliantly paired with an Allagash beer. And during each, Tod told a story. How Allagash White was a tough sell early on. The Belgian brewing traditions mimicked by Goulschip. How Ganache was the inspiration of an employee in their marketing department. He barely talked about styles and there was no mention of independence. As each person raised a handblown glass to their lips, you could see a flicker of anticipation in their eyes. Conversation about flavors were breaking out. Minds were being opened. "I'm not a beer drinker," my table mate Ruby declared at one point, "but I'm becoming one tonight."